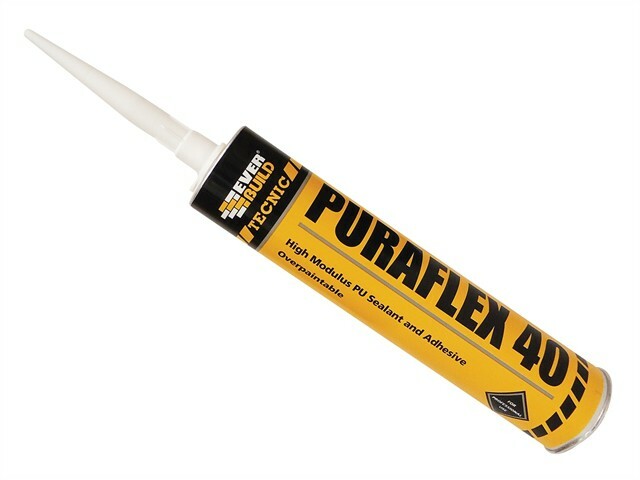 Everbuild Industrial Polyurethane 40 Sealant is a high modulus, one-component PU sealant and adhesive which adheres strongly to most substrates. Provides excellent mechanical resistance (shore A 35), resistance to most common chemicals and can be overpainted when cured. Suitable for metal and container sealing, marine applications, expansion joints, automotive and engineering uses. Is solvent free (EMICODE EC 1PLUSR Very Low Emissions). Expansion joint sealing in concrete panels. Floor joint and road and bridge construction. Marine applications, providing resistance to salt water. A multitude of sealing and bonding applications in the automotive and engineering markets. Food stuff area usage (ISEGA Certificate). Passes LEED EQc 4.1, SCAQMD, Rule 1168 and BAAQMD, Reg 8, Rule 51. Available in Black, Grey, or White.